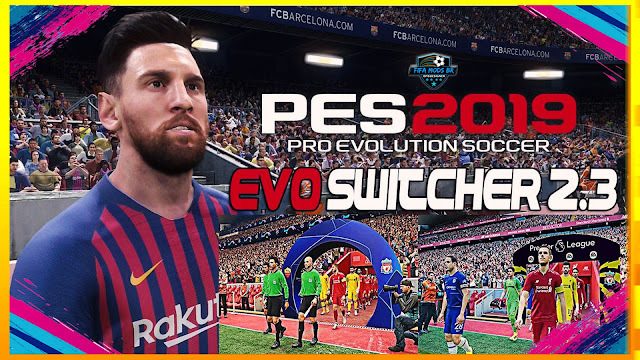 Evo Switcher is a mod developed by MJTS-140914, Ginda01 and its team in which it leaves its game more realistic adding correct entry of the teams of several leagues, correct placards for each competition, hymns of entrance of the teams, new camera, the famous champions league and much more and a complete mod come check it out. Download DOWNLOAD EVO SWITCHER 2.0 AIO + 2.2 + UPDATE 2.3 MOD PC . This is a mod for Pro Evolution Soccer 2019 video game.